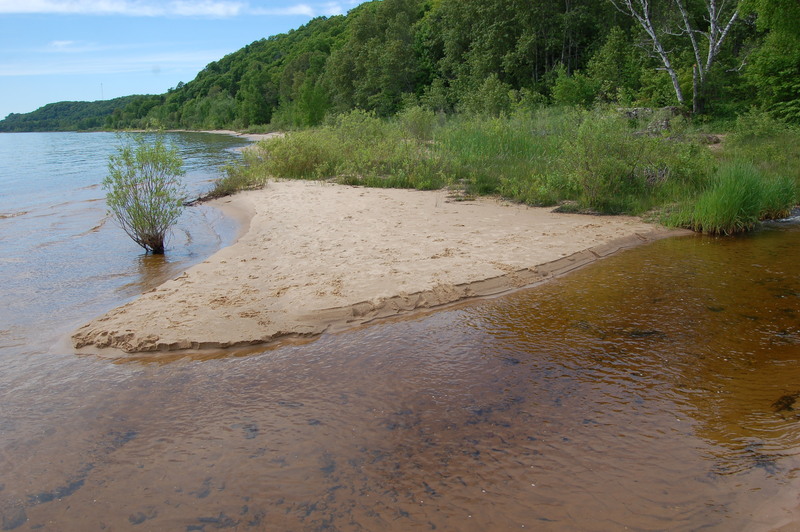 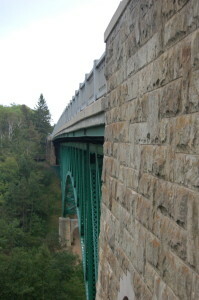 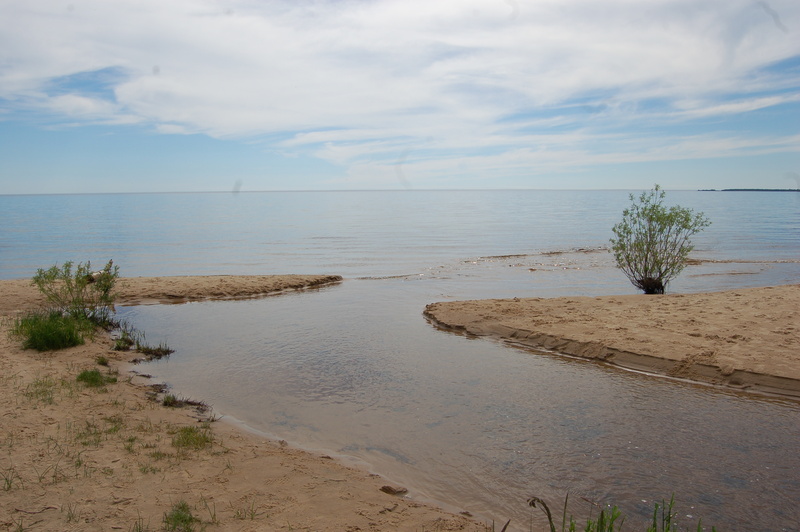 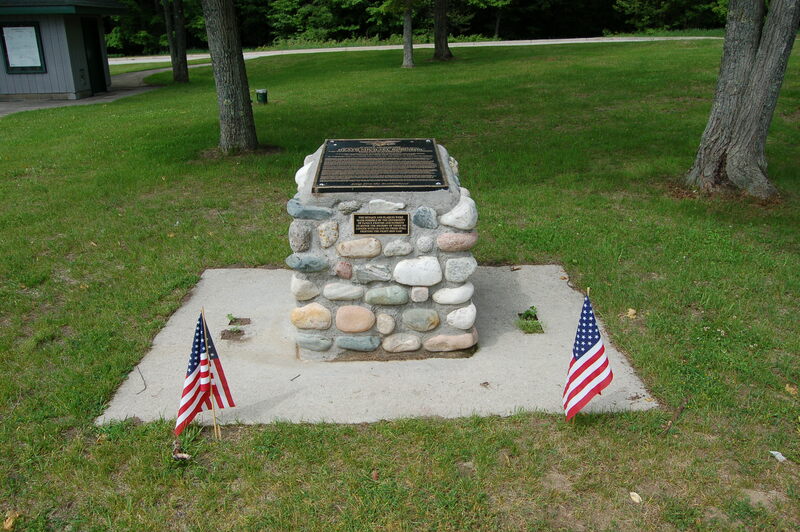 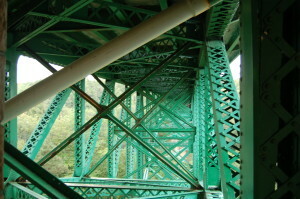 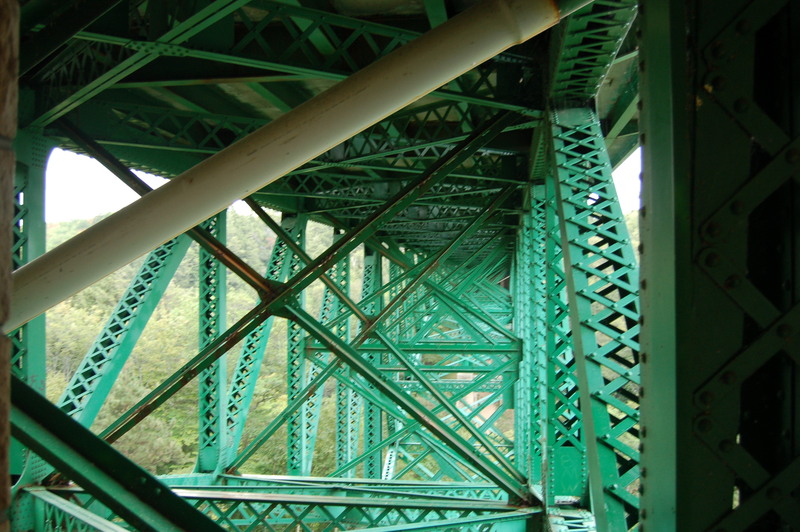 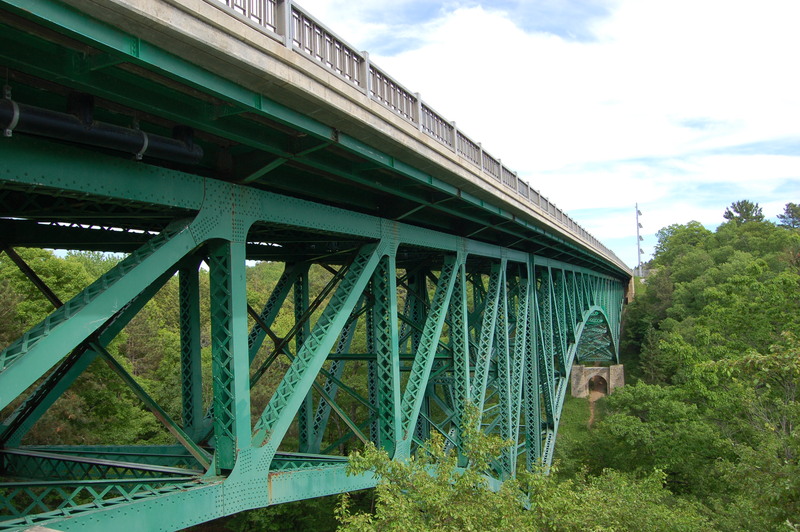 Many visitors to the Upper Peninsula travel over an engineering landmark without even realizing it. 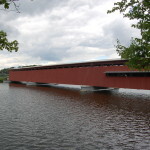 The Cut River Bridge, located on US-2 between Brevort and Epoufette, is one of only two cantilevered deck bridges in the state and provides stunning views of the Cut River Valley from above. 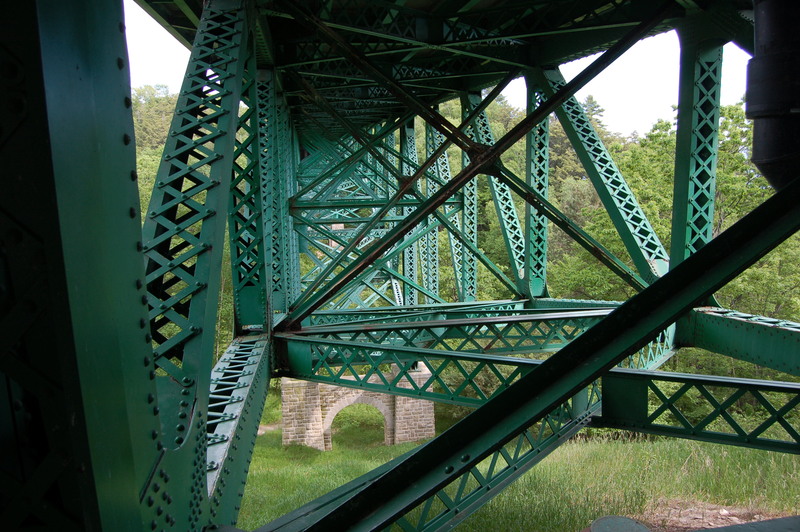 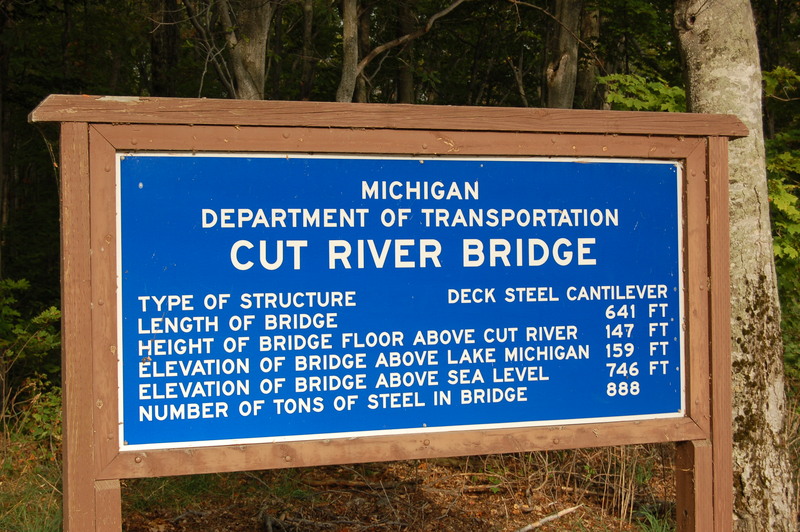 There are roadside parks on either side of the bridge, and a large sign gives the important details of this bridge: it is 641 feet in length, 147 feet above the river, 888 tons of steel used in construction and 159 feet above Lake Michigan. 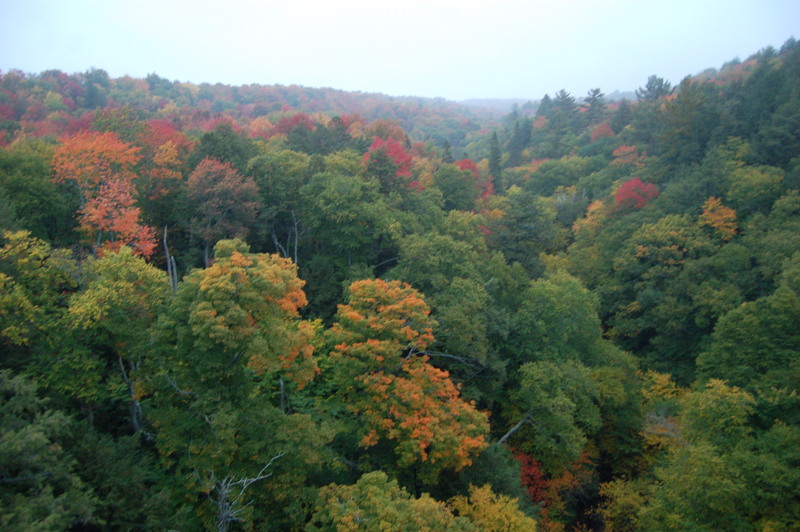 Trails lead down below the bridge for more great views, and the fall color in this area is particularly amazing. 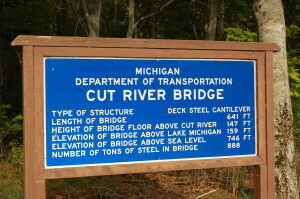 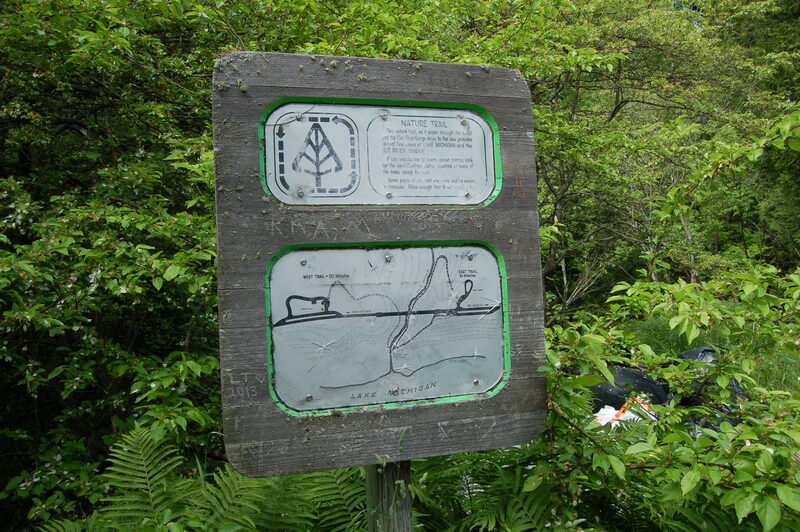 We followed the trail from the southeast corner down below the bridge, where it leads to the river and eventually Lake Michigan. 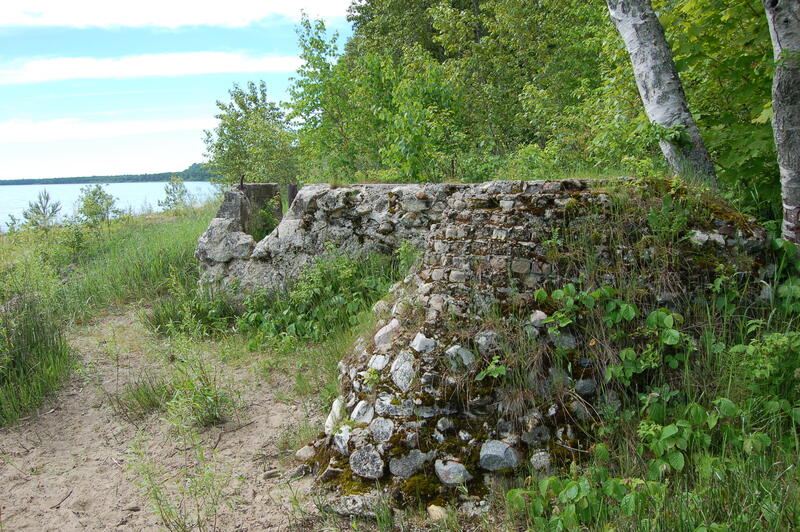 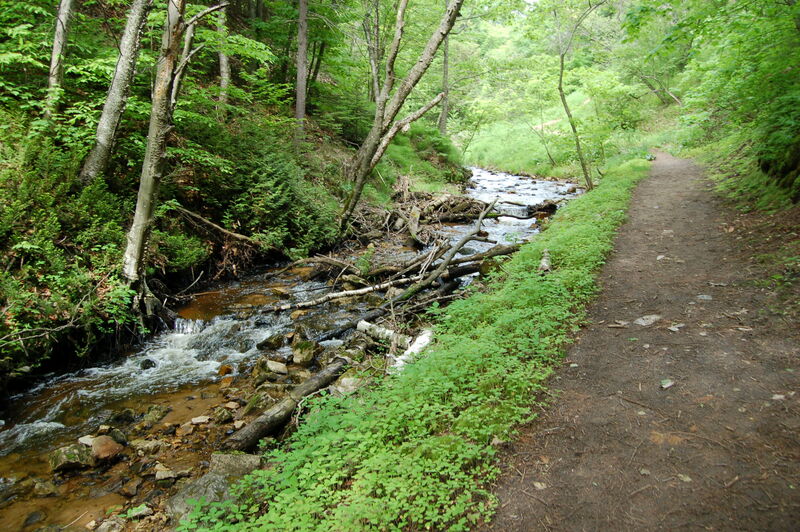 There are some remains of what appears to be an earlier bridge after the trail crosses the river, and we found this to be a moderate hike mostly due to the steep inclines on the way back up. 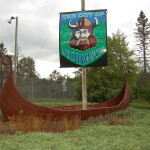 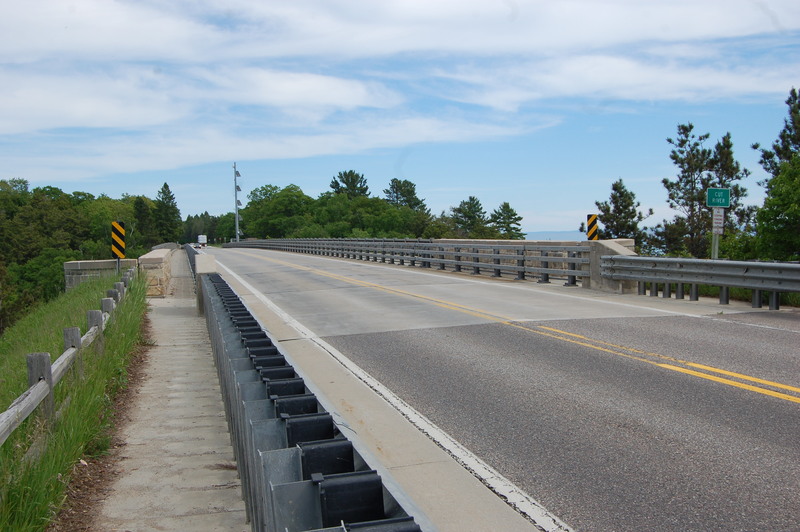 The bridge opened in 1947 and since it is just 40 miles west of St. Ignace it is part of the main traffic route for those headed to Manistique and Escanaba. 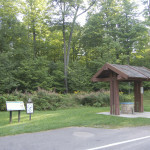 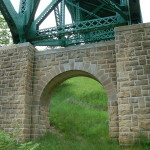 Check out the photo slideshow at the bottom of this post for a better idea of what this area has to offer. 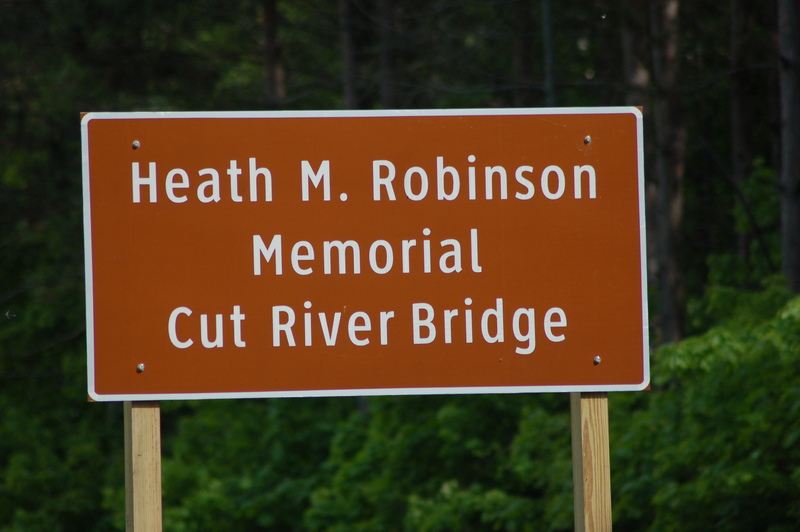 *Update: The Cut River Bridge has been dedicated in the honor of fallen NAVY SEAL Heath Robinson. 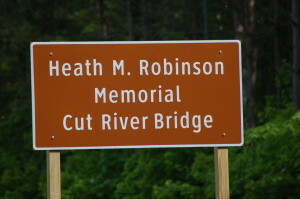 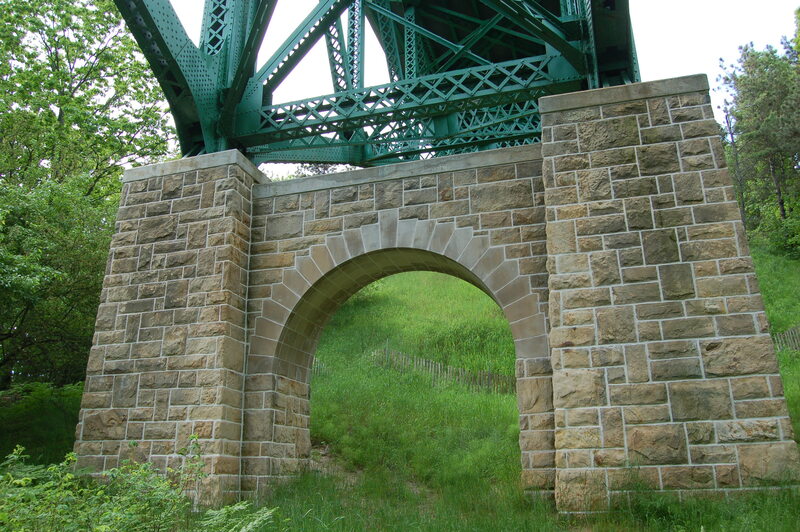 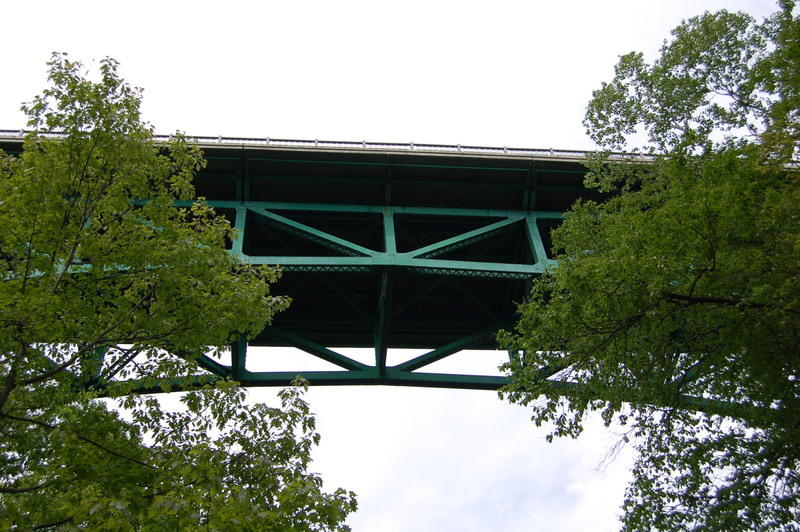 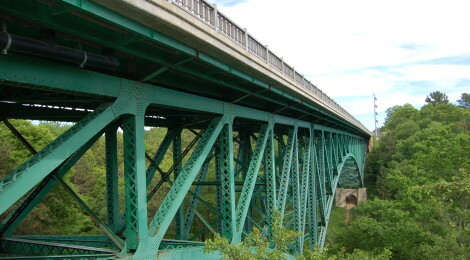 The landmark will now be known as the Heath M. Robinson Memorial Cut River Bridge. 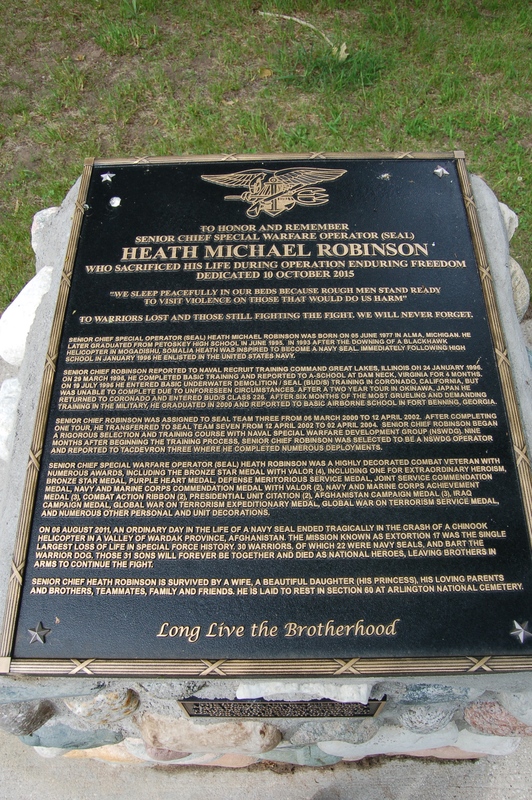 Robinson’s helicopter was shot down in Afghanistan while serving his country. He was a Petoskey native and graduated from Petoskey High School. 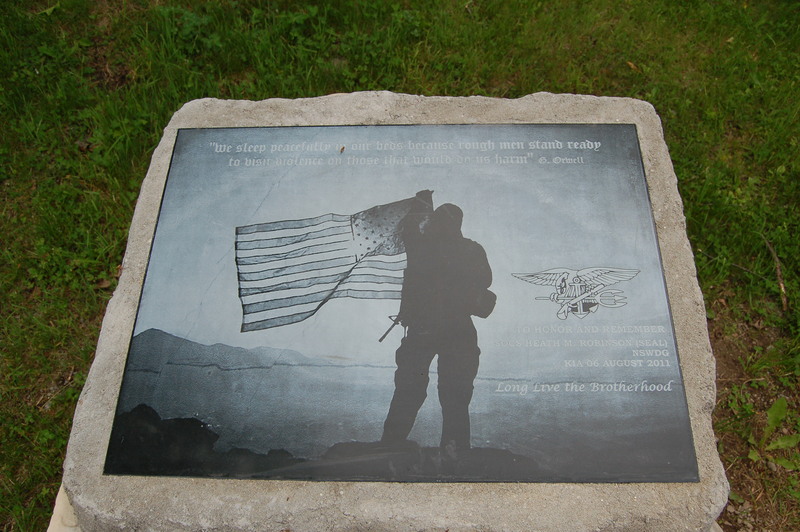 There are memorial plaques on each end of the bridge in the roadside parks.